Liverpool scored two goals in the final ten minute to deny Southampton a point at St Mary's. 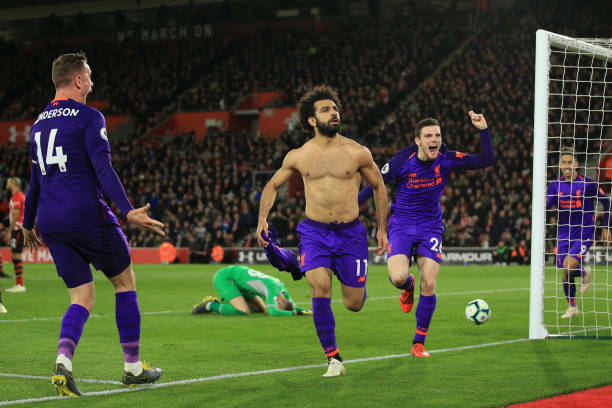 Shane Long became the first Southampton player to score against Liverpool since the striker netted the winner in the League Cup semi-final at Anfield in January 2017 to give his team a shock early lead. 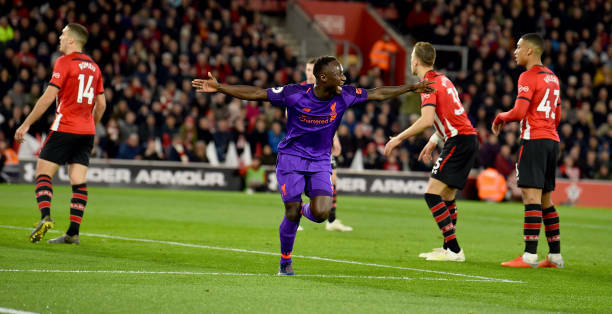 Southampton conceded before half time to Naby Keita but were highly competitive throughout the game. Hasenhuttl ditched the 4-2-2-2 formation that served Southampton well at Brighton to change to five at the back and it was doing a good containing job in the opening stages. Southampton looked really well organised and compact and were not about to be drawn out and leave themselves exposed in behind. And that decision paid off in dramatic fashion as Southampton took the lead after nine minutes. 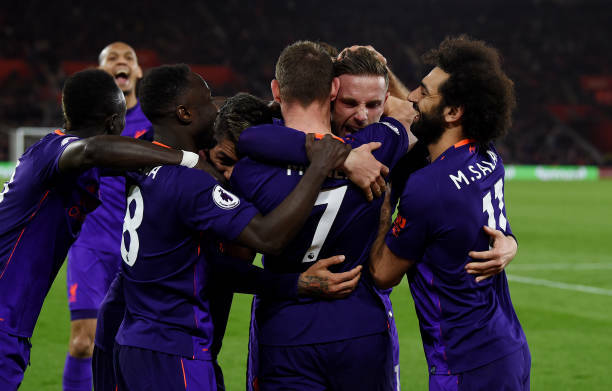 Southampton managed to steady themselves and were looking very competitive in all areas before they got stung by a Liverpool equaliser on 36 minutes. After the disappointment of losing their lead there was a fear that Southampton would be simply overwhelmed in the second period. Jurgen Klopp tried to increase his side’s influence in the game by bringing on both James Milner and Jordan Henderson before Josh Sims replaced Long for Southampton with Redmond going up front. 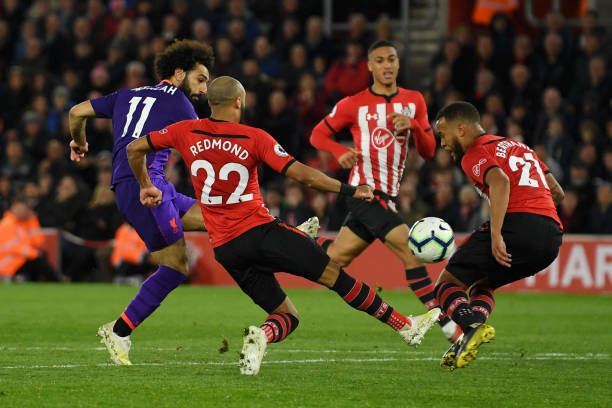 Having done so well Southampton were left reeling with ten minutes remaining as they left themselves exposed for the first time in the match and paid the price. Southampton had a corner and lost a couple of challenges on the edge of the Liverpool box with one simple header from Henderson finding Salah inside his own half but one-on-one with Bertrand. Southampton had to commit men forward and were picked off again on 86 minutes as Liverpool sealed the win. 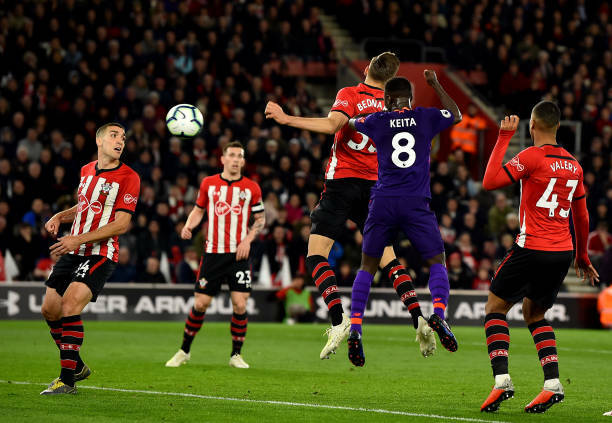 A long ball into the path of Roberto Firmino down the right saw him able to get past Bednarek too easily and cross for the arriving Henderson to complete a simple finish from close range to complete what was a harsh scoreline on Southampton.